It's easy to get overwhelmed by all the arrangements that need to be made when you're buying or selling a home. That's why we've created Our Concierge Service. A convenient, full-service program created exclusively for Our Clients that goes beyond what you might expect from a real estate Agent. We'll help take care of the details before, during and after your move by finding the services you need and making appointments to fit your schedule. 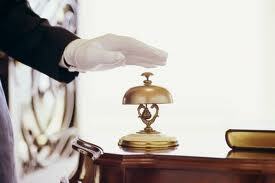 Our Concierge Service was designed with your needs in mind. Buying or selling a home can be overwhelming. Often our clients come to us for advice on locating services to help them before, during and after their move. That's why Our Concierge service was created. A full-service program that goes beyond what you'd expect from a real estate Agent. Our Concierge representative will give you the personal attention you need when you're preparing your house for sale or moving into a new home. We will schedule, order and manage many of the details that go along with buying or selling a home. We'll also be there to answer questions and provide assistance throughout the entire process. We know your time is valuable. With Our Concierge program, you no longer have to search for service providers. We've done the work for you, and the service is exclusive to our Clients. These service providers are selected because they meet our high standards. Each vendor's professional qualifications, responsiveness and quality of work performed are among the many factors considered. When you list or buy a home through our office, we will explain the services available through our Concierge service. Then, we will talk to you about your specific needs, contact the designated vendors and arrange appointments to fit your schedule.